Here are images of commonly used camera cables in video making. 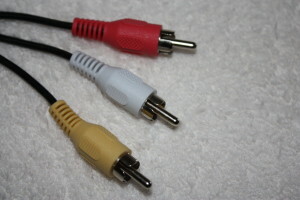 RCA cables: Used for older audio/visual equipment. The yellow plug carries video signals. The red and white are audio. 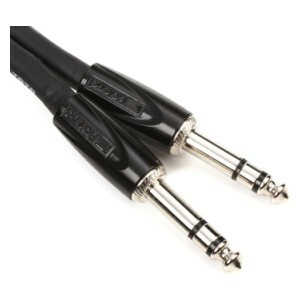 XLR cables: Used for microphones/professional audio. The cables carry a balanced signal. Mini plug: Used for audio. Two black rings on the plug indicate stereo signal capability. 1/4″ audio cable: Used for audio. Two black rings indicate stereo signal capability. 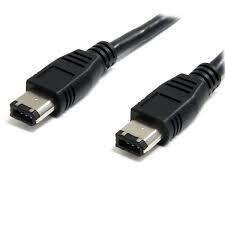 USB cables: See here for various USB cable types. USB cables connect computers and devices for data transfer. 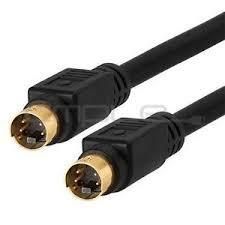 HDMI cables: HDMI cables are the modern standard for connecting audio/visual devices. The cables carry both digital audio and visual signals. S-video cable: An S-video cable is used for a standard definition video connection. It carries video signals only; separate audio cables are needed. Firewire cable: Used for video transfer, usually from tape-based camcorder to DV recorder.